'The Neighborhood's Choice" exhibit will run through Sept. 10 at the Hunt Gallery at Webster University. Join us at the Cecille R. Hunt Gallery on Friday, Aug. 26, at 6 p.m. for the opening reception of "The Neighborhood's Choice" exihibition. In the 1980s, New York artist groups such as Group Material created exhibitions that were methods of creating community participation and changing the way contemporary art was understood. In commemoration of one of these exhibitions (The People’s Choice, 1981), the Webster University Hunt Gallery will reprise one of these activities by requesting neighbors of the Gallery to loan things from their own walls, shelves, and collections. 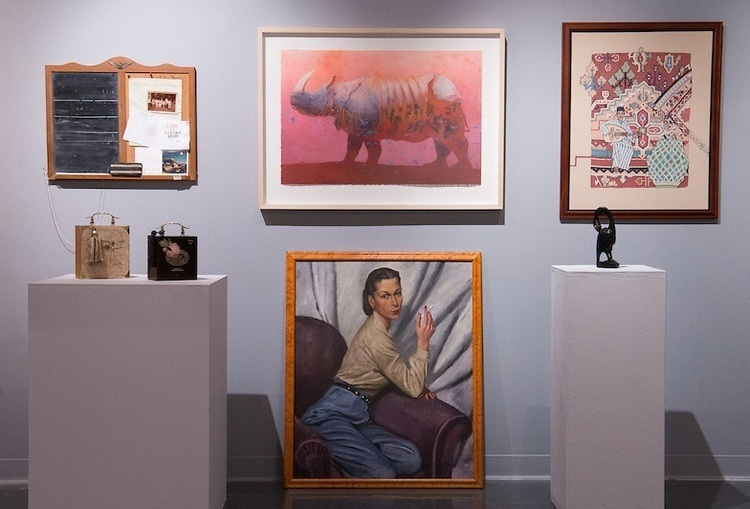 Items were collected that, as Group Material stated, “might not normally find their way into an art gallery,” to allow neighbors of the Webster University campus to become themselves the producers, organizers, curators and interpreters of the arts. This exhibition will run through Sept. 10. Hours: Tuesday-Saturday, 10 a.m.-5 p.m.